Why would anyone hack into a VoIP system? VoIP communication offers a lot of exciting advantages to businesses. These include feature-enriched deals and low monthly costs offered by service providers are enough to entice businesses to make the shift from traditional communication. While the decision often pays off, there are situations when a VoIP solution can have disadvantages, such as the system’s hackability. A poorly implemented VoIP system can pose a lot of vulnerabilities and a VoIP attack is actually pretty easy. All you have to do is trick a service provider into believing that the call is coming from a specific IP. 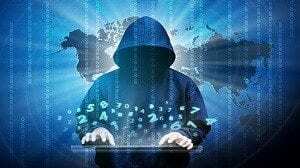 Hackers make calls using the victim’s VoIP system and the victim is left astounded when they receive a bill that’s a lot heftier than they expected. Have a look at some of the features your VoIP system must have. A business VoIP system needs to be devoid of the vulnerabilities that can allow hackers to have an easy pass. The same attacks that your email server and web connection are prone to, VoIP can be susceptible to. VoIP systems send calls via the same path that your network employs for internet and that makes VoIP vulnerable to the same exploitation that every online service can get affected by. A hacker can take control of your whole VoIP system via any old IP phone that nobody pays attention to. Are you wondering if your VoIP system has been hacked? Read on to learn the most common signs of a VoIP attack. A VoIP system can provide interesting new features. However, when not being used, users should be logged out and the system powered down. When up and running, many people use the internet for other purposes (like searching) along with making calls. If a person notices that their search has redirected them to an unwanted site then that is a definitive sign that the whole system has been hacked, including (possibly) the VoIP system. It’s important to always monitor your VoIP call history. Every IP address which logs into the system should have to go through a multi-step authentication process. Make sure to take note of unrecognized calling patterns when placing incoming or outgoing calls. Calling history disparities are a sure sign of a VoIP attack. Another huge indicator that you’ve experienced a VoIP attack is when you receive unexpectedly huge bills. Hackers can make the originating IP of the call look like one recognized by the system. Then, they can place as many calls as they wish using the victim’s VoIP infrastructure. Want a better understanding of how VoIP works? Read here. Which protocols are under attack? VoIP works on various specific protocols that can change depending on the type of your provider and solution. SIP, H225 and Cisco’s proprietary SCCP protocols are some of the most compromised VoIP protocols. SIP is one of the most famous of the protocols, Therefore, it is the most hacked. SCCP or Skinny Client Control protocol was responsible for approximately half of the total attacks that were analyzed by IBM. Cisco is one of the largest VoIP providers, which means there are a lot of business-specific solutions implemented. This means that the possibility of things going wrong are high. Most of the SCCP protocol attacks can be referred to as pre-attack probes which make the attackers able to get potential target data by analyzing the device capabilities of the network. Before they even proceed with the VoIP attack, they can see the type of defenses your business is equipped with. 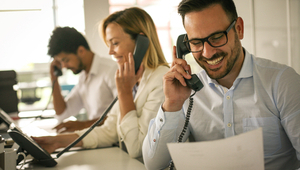 If you are thinking about making the switch to VoIP but haven’t found enough reasons to do so, here are several reasons that will help you make the decision. Strong passwords: There isn’t a “how to stay safe online” list that won’t tell you to keep strong passwords. However tempting and easy-to-remember weak passwords might be, they can lead to your downfall. Always ensure that all the users and administrators keep strong passwords. Encryption: Most of the time, VoIP communication is unencrypted and that makes it an easy target for hackers. Encrypt all the traffic that travels via your VoIP network using state-of-the-art cryptographic techniques. Use a VPN: Using a virtual private network to tunnel your traffic and allowing off-site people to access on-site networks is another great way of keeping VoIP systems secure from the threats of hackers. Test your network: No matter how big or small your network is, make a habit of running security checks on it whilst looking for backdoors, vulnerabilities, or traces of attacks made in the past. 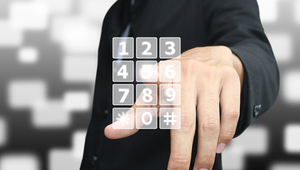 Which VoIP providers can you trust? Vonage provides a plethora of features in their VoIP solutions (monitoring tools, desktop plugins etc.) and their support team is experienced and highly vetted, ensuring that any possible vulnerabilities in the system are found and dealt with. The feature-rich and highly reliable VoIP solutions provided by Alliance Phones are only second to the ones Vonage provides. They implement rigorous security features to ensure that any hacking attempts are rendered useless. RingCentral uses modern encryption techniques which makes sure that all the traffic that flows via the VoIP network is undecipherable to anyone who tries to attack it. In a world where online attacks are increasing with every passing day, it’s important that any corporate or personal VoIP infrastructure is safe and secure.